ClassFlow is the next-generation lesson delivery software for interactive touch boards. 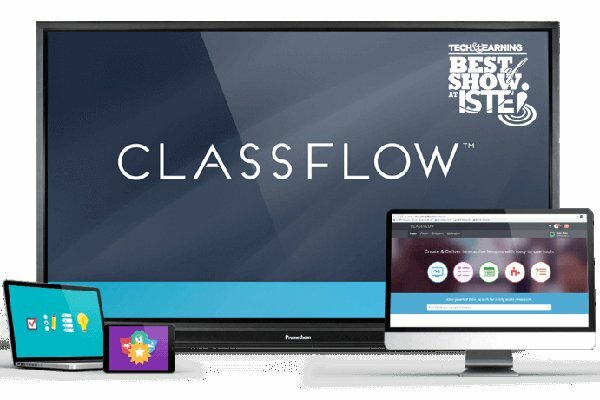 Designed by teachers for teachers, ClassFlow is cloud-based lesson delivery software with advanced collaboration tools for student engagement. Energize the classroom with interactive lessons, activities, quizzes, and millions of immersive resources from educators around the world. Bring interactive displays to life by delivering lessons that energize the front of the classroom experience. Teachers only ever need to learn one interactive delivery software that will work in any classroom technology environment. Engage Students with Instant Polls & Quizzes – Utilise a broad range of student devices and question types to immerse students in lesson content. Recognise Outstanding Student Behaviour – Reward students with ClassFlow’s digital badges to reinforce positive outcomes. Promote Parental Engagement – Use the Free ClassFlow Moments app to encourage parents to get involved proactively with student learning. Discover Millions of Interactive Resources – Find interactive lessons, resources, and activities from educators around the world.